The first death potentially caused by self-driving technology is now being investigated by the National Highway Traffic Safety Administration (NHTSA). The driver of a Tesla car died in Florida in May after colliding with a truck. Under scrutiny is Tesla’s Autopilot feature, which automatically changes lanes and reacts to traffic. In a statement, Tesla said it appeared the Model S car was unable to recognize “the white side of the tractor trailer against a brightly lit sky” that had driven across the car’s path. Tesla said the crash was a “tragic loss”. The collision led to the death of Tesla driver Joshua Brown, 40. The driver of the truck, which was pulling a trailer, was unhurt. A video on YouTube, which appears to have been posted by Joshua Brown, shows a dashboard camera recording of a previous incident, with the car steering to avoid a truck in the next lane. 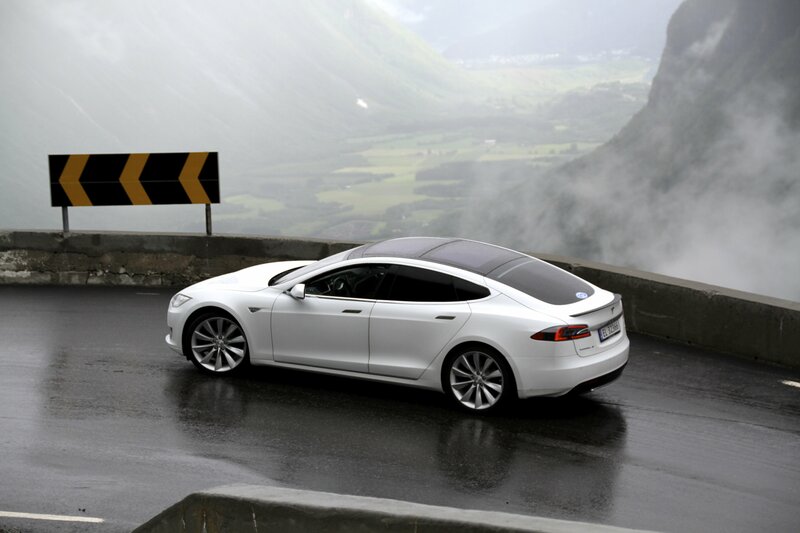 He wrote: “Tesla Model S autopilot saved the car autonomously from a side collision from a boom lift truck. On June 30, Tesla stressed that cars being controlled by Autopilot had travelled 130 million safe miles to date. The NHTSA will look at whether the Autopilot function performed as expected, or was at fault. Such investigations can sometimes lead to a recall. Should that be the case, it is likely Tesla would put out an “over-the-air” update to its cars, rather than having to physically take the vehicles back. However, the incident could be a serious blow to the reputation of autonomous technology at a time when regulators across the world are considering how to safely introduce it on public roads. Tesla’s shares dropped by 3% after the government said it would investigate the crash. The Autopilot function was introduced by Tesla in October 2016. In a conference call, the company’s enigmatic chief executive Elon Musk urged caution in using the technology. “The driver cannot abdicate responsibility,” he said. In June 30 statement, Tesla said: “It is important to note that Tesla disables Autopilot by default and requires explicit acknowledgement that the system is new technology and still in a public beta phase before it can be enabled. “The system also makes frequent checks to ensure that the driver’s hands remain on the wheel and provides visual and audible alerts if hands-on is not detected.